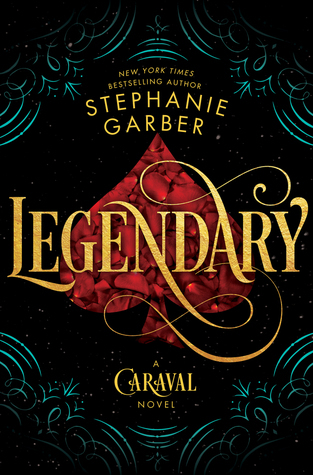 I read Caraval in March and oh boy was that magical, I finished it in 2 sittings, It gave me every reason to wait for the Legendary. I started this book with high expectations and I realized it is not as good as Caraval. After a while, I thought where is magic…there isn’t any magic…Then I realized Oh there is magic but not that sweet, honey coated magic, there is dark and scary magic. This book was a heck of emotions roller coaster, I keep getting distracted in the first half, not because it wasn’t good it was but not as much as caraval, the second half blew me away, it was THAT GOOD. Two Caraval back to back, but what If the second Caraval is not a game anymore? Yes, it isn’t, this is where all the fun began. This book focused on Tella and Dante, and the background of her mother which is shocking. Tella was so irritating in Caraval, she is till, but this book explains her nature and behaviour. Jacks, an interesting inclusion in characters, he is creepy and interesting at the same time. And yes we found out who is LEGENDARY. I had an idea but still, it was a shock to actually know the name. It isn’t as good as Caraval but it got more Aww and Oh factors. But the ARC was not approved. Did You receive the ARC? Nope ☹…It’s been I have received any e-ARC. Fab review. I see so many favourable reviews for this series.. This is not my usual genre but you are hooking me! I’ve seen so many wonderful reviews for this series. It’s not something I’d normally consider but I’m very tempted. Great review. I’ve not read the first book, although I’ve picked it up a few times. Thank you :)…Give this series a try. Great review and I love your GIFs! Great review! The cover is so pretty! Great review! The cover is gorgeous!